Hello YABC! My name is Kristen Simmons and I’m super excited to be able to reveal my cover here today. (HOLY COW THE BLUE, THE SKY, THE DOCK, THE GIRL, I LOVE IT SO MUCH.) If you’ve been following me online you know that this book used to be called BLOOD AND TAR, but after some pretty significant revisions there was slightly less blood and even less tar, so ta-da! I give you PACIFICA! I’m so glad the title changed too, because who wants a cover painted with blood and tar? This is SO much better. Plus, it’s by the same artist who did THE GLASS ARROW and METALTOWN, my last two standalones, and I think he’s pretty much the greatest thing since the invention of pancakes. Hope you love it! Marin isn't the only one thinking something's not right--people are rising up, demanding answers, and promptly being silenced. When a protest gets out of control and Marin encounters the son of the president in the middle of the riots--handsome but overly trusting, and looking for answers of his own--she sees her ticket home. The ransom a president’s son would command could restore her family’s legacy. Her fellow corsarios would forgive everything she's done for that kind of money. 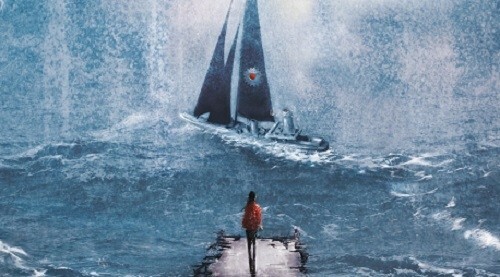 But as she sails them across stormy, unpredictable waters, the situation becomes more complicated, and Marin must decide if her heart can handle handing over the only person who has ever seen her as more than a pirate. KRISTEN SIMMONS has a master's degree in social work and is an advocate for mental health. She lives with her husband, Jason, and their precious greyhound, Rudy, in Cincinnati, Ohio. 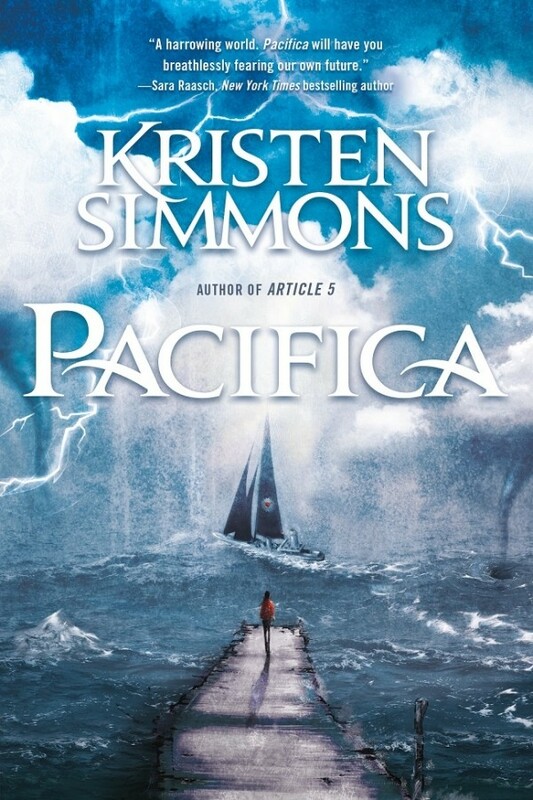 One winner will receive an ARC of PACIFICA (when available). The cover is gorgeous at first glance, then eerie when you really look at it (fits the synopsis well, which sounds amazing). Thanks! What a great cover! I feel like Kristin Simmons always gets fantastic covers - my favorite is the cover of The Glass Arrow, but this one is not too far behind. Thank you for the chance! What a great cover! I feel like Kristin Simmons always gets fantastic covers - my favorite is the cover of The Glass Arrow, but this one is not too far behind. :D Thank you for the chance! The cover is very atmospheric, and the synopsis does not disagree with that! Gah! I love that cover so much! I am super excited for this story too. So awesome! How have I missed this author before? This story line sounds amazing. I really like the dramatic cover. Looking at the cover, I thought this would be a sort of pirate-y adventure, which I wouldn't mind. But the synopsis promises a great sounding mystery and I saw "riots", which definitely sounds like a good time in my eyes :-) Thanks for the chance! Dystopian fiction, a female pirate, an evil government that citizens don't trust, and romance too. Who could ask for anything more. The cover is perfect. It offers the right amount of atmosphere and will make potential readers want to pick it up to read the back. [b][/b]Dystopian fiction, a female pirate, an evil government that citizens don't trust, and romance too. Who could ask for anything more. I will be addi g this book to my #readandreview list and can't wait to get my hands on a copy to #review on my #bookblog The cover is perfect. It offers the right amount of atmosphere and will make potential readers want to pick it up to read the back.